…and we discovered this! The Luke’s Lobster staff were friendly and professional with great English. Kinda makes you feel like you’re not in Japan. Small tales and chairs to sit, but definitely not a place to sit for a long chat! We saw loads of people queuing up, curious we go in line too. 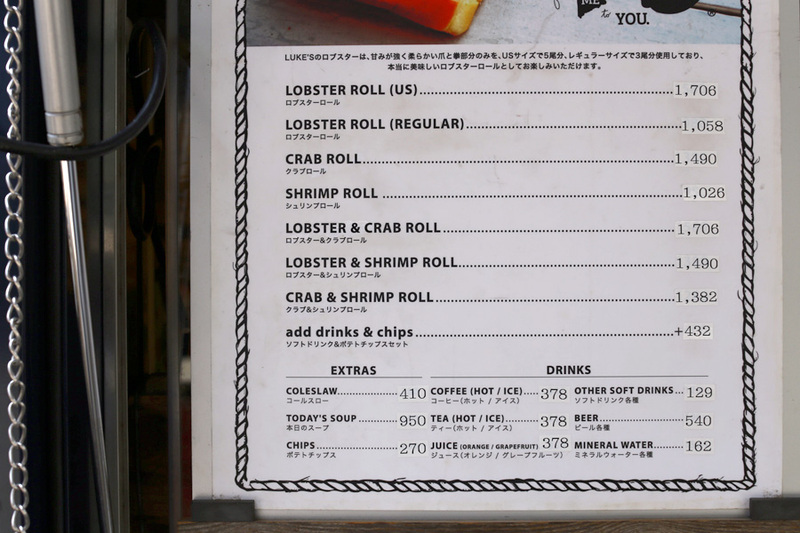 We ordered the lobster roll, because why would you order shrimp at a shop with the name lobster on it? And we have limited tries (literally just this once), so go lobster! Minimal sauce for optimum lobster taste! It was honestly not cheap, but we’re in Japan, and its lobster! And there’s a queue! It was soooo juicy and delicious. If we weren’t full from lunch, we would’ve ordered for seconds. If you are in the area, why not stop by and take a bite at Luke’s Lobster, the price you pay will leave a smile on your belly!